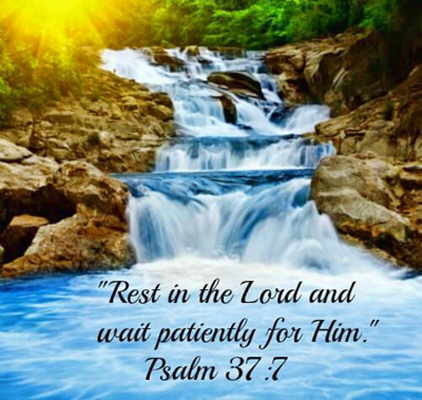 An Understanding of “Resting in the Lord"
I had been reading Christian books mentioning the phrase “rest in the Lord”, but it was just very recently that I had a real grasp of it. I mean, it is easy to say it but what does “rest in the Lord” really mean? After the truth has sunk in my soul, I realized that “resting in the Lord” could feel very risky and scary. These are the things involved: risk and fear. That’s because we had been taught to rely on visible things rather than on the invisible God. But to truly rest in the Lord is to reject these, to let go of these in exchange of plunging oneself at the feet of God, trusting completely in His love and mercy. 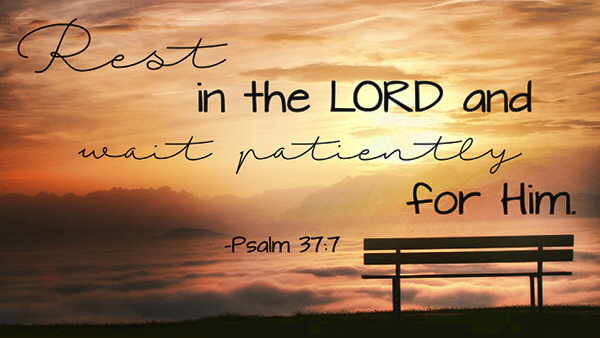 I don’t know how deep or trying your reason to choose to rest in the Lord is, but as for me, I took inventory of the years that I “rested in the Lord”, and I came to realize that to truly rest in the Lord is to believe that He can help, save, and deliver in the MOST urgent need. It involves a REAL belief, so real you could almost touch and taste it. That kind of belief is the seat of trust. Because you truly believe, then you can trust, and therefore, you can rest. There is no true rest when there is a shadow of doubt in your belief of a true and living God, a breathing, seeing, moving, fast-acting God – an omnipotent, omniscient, omnipresent God. I had wrestled with death a few times, and I remember my beloved friend offering to bring me to the hospital or buy me an oxygen tank at least. It was truly scary but I had always chosen to rest in God instead during those fear-filled walks through the valley of the shadow of death. I believed that the commotion that would be brought about by calling an ambulance, transferring me into it, the nurses milling about, the panic, the anxiety-filled trip to the hospital and then the hustle and bustle of the emergency room would be more than enough to stop my breath altogether. So, I always chose to rest in God, keeping my body as still as I could as I trusted in Him to save me, to deliver me to the next breath and heartbeat and to the next, until He brings recovery. I would keep still as an electric fan blew hard on my face, thinking hard about the Lord Jesus. When things were better, I even sang praises in my mind. He is a VERY PRESENT HELP in times of great need. And though the flesh is weak and perishes, there is rest for the soul (Mat. 11:29). That is what resting in the Lord brings – rest for the soul. When illness, suffering, difficulties, anguish, confusion, fear, weakness, worry overwhelm, I rest in His Word. His Word enlightens me, strengthens and comforts me. 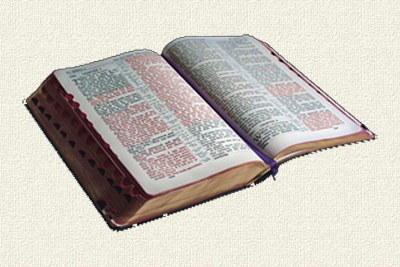 The Word is God (John 1:1).